The Oregonian reported last week that fully 156,000 families are on the edge of homelessness in our small-population state. Every one of those households is now paying more than 50 percent of its monthly income on rent, and none of them has any savings; one medical bill, major car repair or job loss, and they're on the streets. While socialism may or may not solve their problem, the more pressing issue we have is an entire political party and a huge sector of the billionaire class who see homelessness not as a problem, but as a symptom of a "free" society. We may be on the verge of seeing the Mueller report, at the same time that Steve King is encouraging Trump followers to prepare for a civil war, saying his side has "8 trillion bullets." Thank about that - a civil war is the only kind of war where, literally, neighbors kill their neighbors, family members murder family members, all in the name of politics. That's what Steve King and others in the GOP are calling for or implying in their not-so-subtle ways. Even Trump is talking about how he's got the cops and the bikers, and, if Oregon's experience is any indicator where the cops were coordinating with the Proud Boys, Trump is right. So, how do we respond? Prepare for a war and get ready to kill our neighbor if he shows up at our house with an AR-15? In any other time in our lifetimes even suggesting such a thing would have been considered insane, but the biggest backers of Trump/Pence now are evangelicals who think this is the end time, which is also supposed to be a bloodbath. Or how do we stop this rhetoric from the Bannon/Pence apocalyptic right, or at least marginalize it, when the guy in the White House keeps whipping it up, and, when the Mueller Report comes out, will probably put a civil war front and center for his own re-election campaign to keep himself and his family out of jail? Article: "The Mueller Report Is Highly Anticipated. Here's What We Already Know." by Larry Buchanan And Karen Yourish. Article: "Trump eyes Mueller report as political opportunity: report" by John Bowden. Article: "Trump's vile and unhinged weekend performance demands a response from Congress" by Mark Sumner. Article: "Cohen: Trump ordered him to make 500 threats over 10 years" by Doina Chiacu, Sarah N. Lynch. Article: "The awful reality that Donald Trump's repeated attacks on John McCain prove" by Chris Cillizza. Tweet: "I look forward to soon re-introducing my legislation re-naming the Senate Russell Building after American hero, Senator John McCain." by Chuck Schumer. Article: "HR 1: Democrats pass sweeping bill to get money out of politics" by Ella Nilsen. Video: Bridging the Gap: a conversation with Reps. Mike Gallagher, R-Wisconsin's 8th District, and Mark Pocan, D-Wisconsin's 2nd District. Hour Two: Is Trump Whipping Up Violence In Anticipation of the Mueller Report? 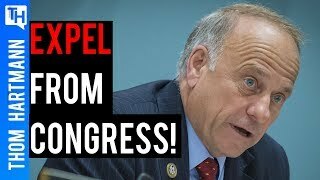 Article: "'Wonder who would win' - Iowa congressman Steve King shares Civil War meme with conservative red states using '8 trillion bullets' on liberal blue states - including his own" by Michael Nam. Quote: "You know, the left plays a tougher game, it's very funny. I actually think that the people on the right are tougher, but they don't play it tougher. Okay? 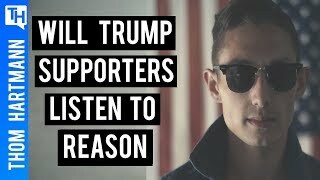 I can tell you I have the support of the police, the support of the military, the support of the Bikers for Trump - I have the tough people, but they don't play it tough - until they go to a certain point, and then it would be very bad, very bad." - Donald J. Trump. Book: The Hornet's Nest: A Novel of the Revolutionary War by Jimmy Carter. Article: "Category:White nationalist terrorism" by Wikipedia. 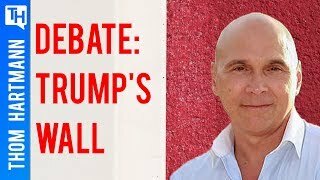 Tweet: "This is unbelievable: Trump supporter At Steve Bannon's Rally: "Never in my life did I think I'd like to see a dictator, but if there's going to be one, I want it to be trump"" by PoliticsVideoChannel. Article: "The Evangelical Christian Takeover of the Military" by David Antoon. Article: "White nationalists have infiltrated the US military" by Ilana Novick. Article: "Juan Guaido takes control of Venezuelan diplomatic properties in the U.S." by Gershon Peaks. Quote: "Southern Revolution of 1861 ... solemn protest against the doctrines of natural liberty, human equality and the social contracts as taught by Locke and the American sages of 1776, and an equally solemn protest against the doctrines of Adam Smith, Franklin, Say and Tom Paine and the rest of the infidel, political economists, who maintain that the world is too much governed." - George Fitzhugh. Article: "Disney Closes $71.3 Billion Fox Deal, Creating Global Content Powerhouse" by Georg Szalai, Paul Bond. Article: "Fox News' Sean Hannity wing is apparently worried the Murdochs are dumping Trump" by The Week. Article: "Pompeo Briefing On World Religious Freedom Given Exclusively To 'Faith-Based Media'" by Mary Papenfuss. Article: "Trump visits Ohio factory for tanks Army didn't want, as tariffs hurt other workers" by Eli Stokols, Noah Bierman. Tweet: "George Conway, often referred to as Mr. Kellyanne Conway by those who know him, is VERY jealous of his wife's success & angry that I, with her help, didn't give him the job he so desperately wanted. I barely know him but just take a look, a stone cold LOSER & husband from hell!" by Donald J. Trump. Article: "GOP senator to publicly call out Trump for McCain attacks" by Zack Budryk. Article: "White House Power Player Jared Kushner Is Keeping Parts of His Real-Estate Empire" by Justin Elliott and Al Shaw. Quote: "Perception is more important than reality. If someone perceives something to be true, it is more important than if it is in fact true" - Ivanka Trump. Article: "Charles Kushner" by Wikipedia. Article: "Whoops! Jared Kushner Made Even More Mistakes in His Federal Filings" by Justin Elliott. Article: "Jared Kushner reportedly pressed for Comey's firing as FBI director" by Tucker Higgins. Article: "Jared Kushner's swift rise and long, long fall" by Mondoweiss. Article: "2017 Riyadh summit" by Wikipedia. Article: "Saudi Arabia vs. Qatar: How MBS's Blockade Not Only Failed to Achieve Its Goals but Backfired" by Alexander Griffing. Article: "Saudi Arabia Planned To Invade Qatar Last Summer. Rex Tillerson's Efforts To Stop It May Have Cost Him His Job." by Alex Emmons. Article: "A year after the Ritz-Carlton roundup, Saudi elites remain jailed by the crown prince" by Kevin Sullivan and Kareem Fahim. Article: "Exclusive: Saudi crown prince bragged that Jared Kushner gave him CIA intelligence about other Saudis saying 'here are your enemies' days before 'corruption crackdown' which led to torture and death" by Ryan Parry. Article: "Trump asked Riyadh for $4 billion Syrian war expenses: report". Quote: "To locate, close with, and destroy the enemy, by fire and maneuver, or repel the enemy assault by fire and close combat." - Mission of the Marine Rifle Squad. Article: "Civilian Conservation Corps" (CCC) by Wikipedia. Article: "TVA: From the New Deal to a New Century" by Tennessee Valley Authority. Article: "Hoover Dam - One of the Greatest Investments in U.S. History" by Street Authority. 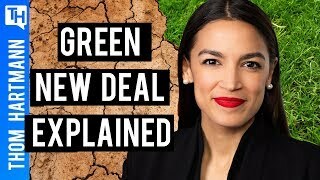 Resolution: "H.Res.109 - Recognizing the duty of the Federal Government to create a Green New Deal." by Rep. Ocasio-Cortez, Alexandria [D-NY-14]. Article: "German Renewable Energy Sources Act" by Wikipedia. Video: President Obama Roasts Donald Trump At White House Correspondents' Dinner!. Book: War Is a Force That Gives Us Meaning by Chris Hedges. Article: "Donna Brazile Explains Why She's Working for Fox News" by Isaac Chotiner. 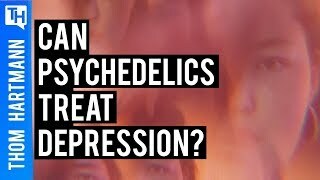 Geeky Science: Can Psychedelics Treat Depression? 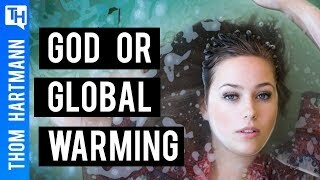 Is the Midwest Flooding an Act of God or Big Oil?